I’m not one to go all out with printables and decorations but it doesn’t mean I am not amazed by the cuteness and elaborate parties many have created for their little ones. There are so many great ideas, I might just have to throw another garbage truck party for B’s 4th birthday. More to come about the party at our house but here are some pictures to give you a sneak peak. 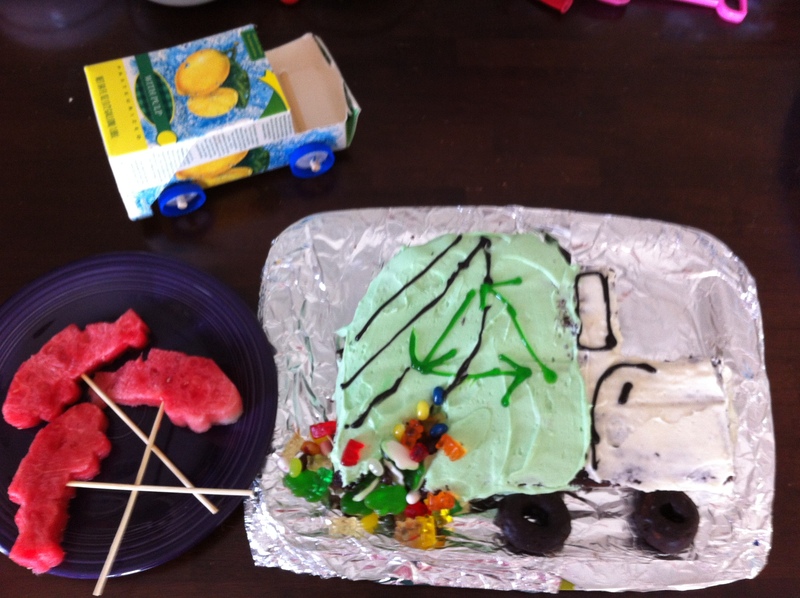 Just a few ingredients for a fun, garbage-truck themed party. 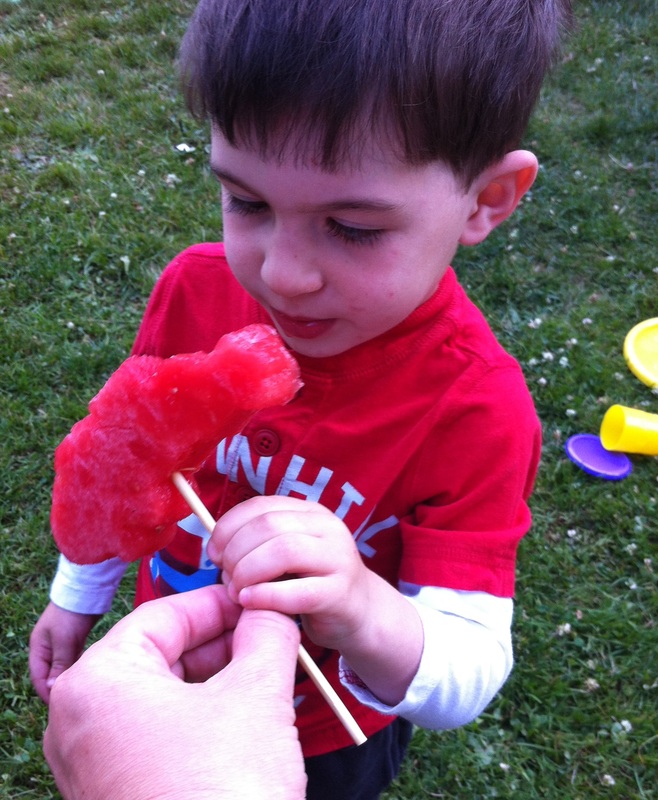 Garbage truck popsicles were made with a garbage truck cookie cutter, a large watermelon, and bamboo sticks. Freeze overnight to make them into popsicles.